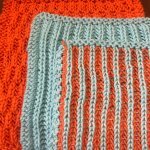 Join us as we Knit the River! 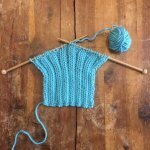 Learn the basics of a top-down baby sweater in this 5 hour, 1 session class. 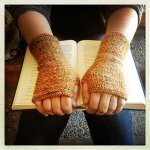 Let us help unlock the mystery of brioche knitting in this 2 part class. Knit a blanket in this Building Blocks Class. Registration is now open for our 2019 class! Knit a blanket in this Building Blocks Class. Our 2019 Registration is now open! We've done the Building Blocks class...we're moving on! 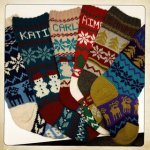 Knit a Christmas keepsake. Imagine these hanging on your mantel! 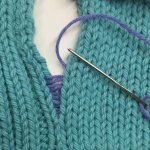 Learn to fix some common knitting mistakes. Increase your brioche skills with this project. Taking this course will put you on the road to warm hands or neck! 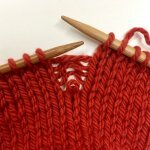 You will learn basic knit techniques; cast on, knit stitch, purl stitch and bind off. 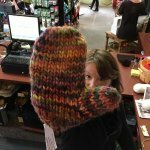 Join us for this mitten class! You'll be wearing your mittens home! At least one of them! .... and a good start of the 2nd. 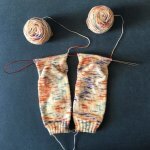 Learn the basics of sock knitting in this 3 part class. Learn to knit magic loop too!! Learn to knit 2 socks at 1 time!